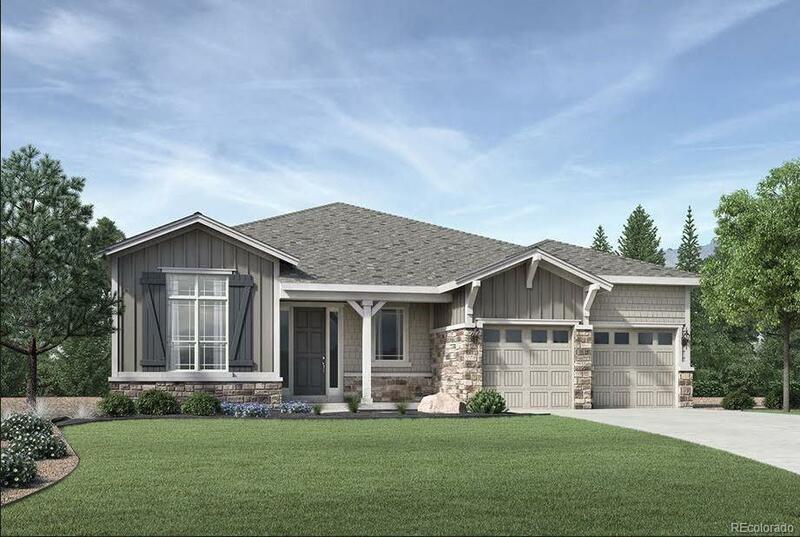 This Bancroft Country Manor is a popular and functional home by Toll Brothers at Inspiration offers 2,403 sf, on a beautiful walkout home site, with 2 bedrooms, 2 bathrooms, 2-car garage, fireplace, and 10' ceilings. The master suite includes master bathroom with his & her vanities. This home is perfect for entertaining w/a gourmet kitchen with dining room that leads to a covered deck. Toll Brothers at Inspiration is the only new construction active-adult community in the South Metro Denver area. Join a resident club, attend a community event, and enjoy all the resort-style amenities available to you at the world-class 20 Mile House! The 8,000 square-foot clubhouse features a Cafe, Fitness Center, Library, Banquet Room, Outdoor Pool, Hot Tub, and Courts for Tennis, Bocce & Pickleball. Conveniently located between Southlands and Parker for quick access to shopping and restaurants.